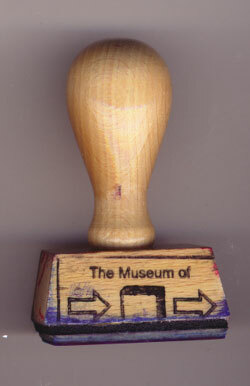 Description: Small stamp with wooden base, used with blue ink only. Comments/Origin: This stamp has been used since the first day of the Museum of Temporary Art, mostly for certifying copies of exhibit sheets and as part of the sender address. Now it's honoured for its long service to the MoTA and becomes the last exhibit.